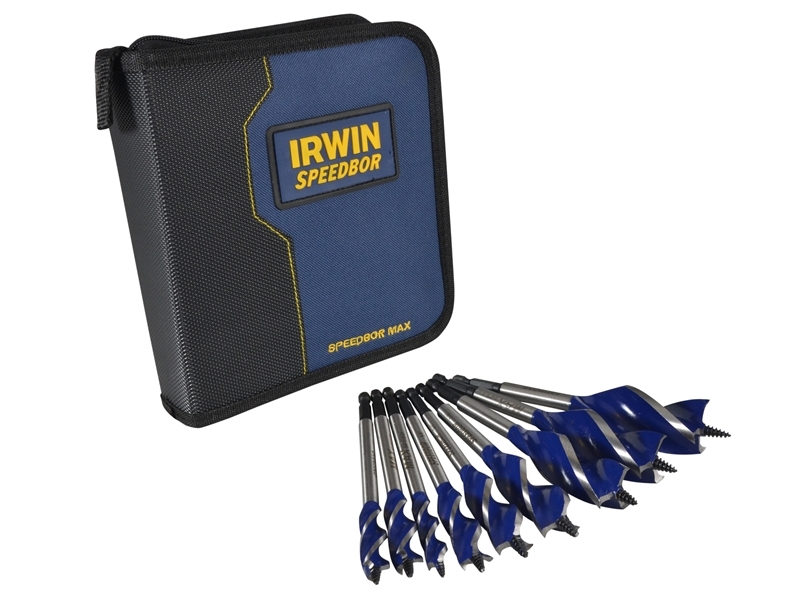 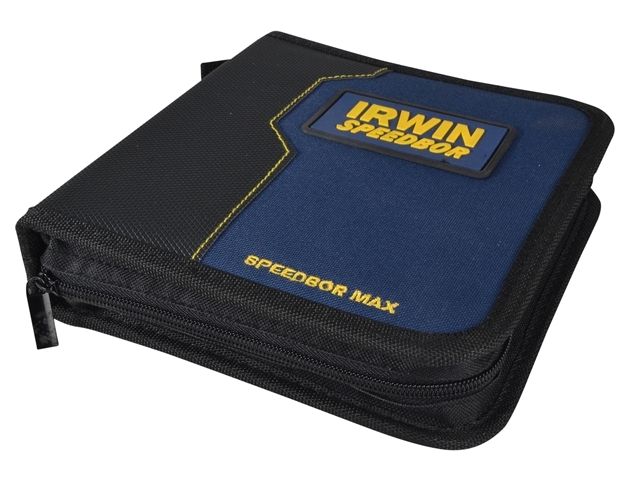 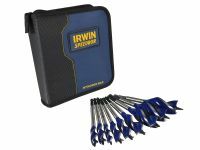 Irwin new 9 piece 6X blue groove auger bit set with wallet. 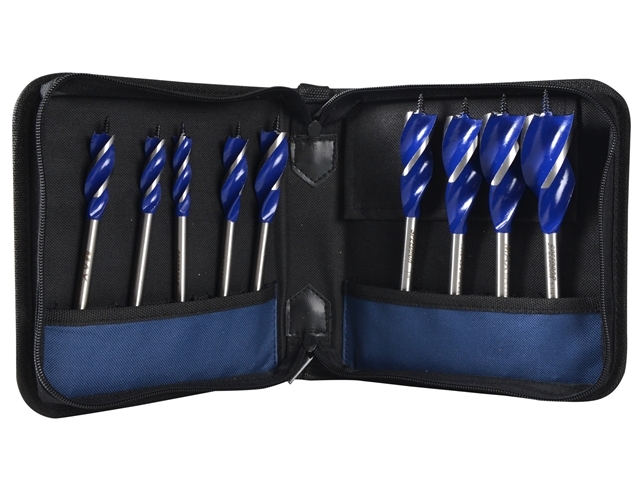 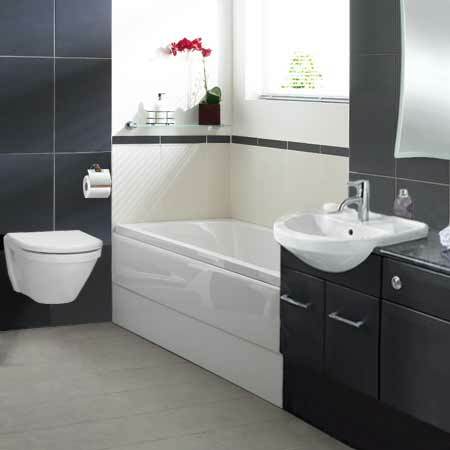 Set includes 2 x 16mm bits plus 1 of each 14mm, 18mm, 20mm, 22mm, 25mm, 28mm and 32mm. 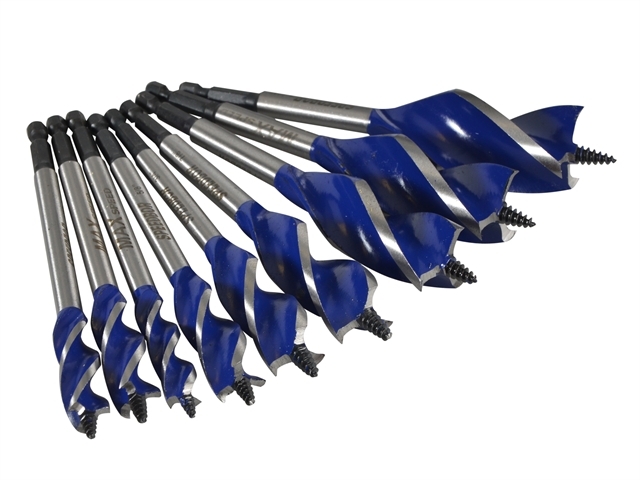 The Irwin Blue Groove 6X drill bits are ideal for drilling wood and offer 6 times faster drilling penetration than a standard flat bit.